The result of a survey showing that Catholic voters prefer majority of the administration senate bets in the May 13 midterm polls is disappointing for a Catholic prelate. “If the survey is accurate this is really disappointing,” Manila Auxiliary Bishop Broderick Pabillo said in an interview. 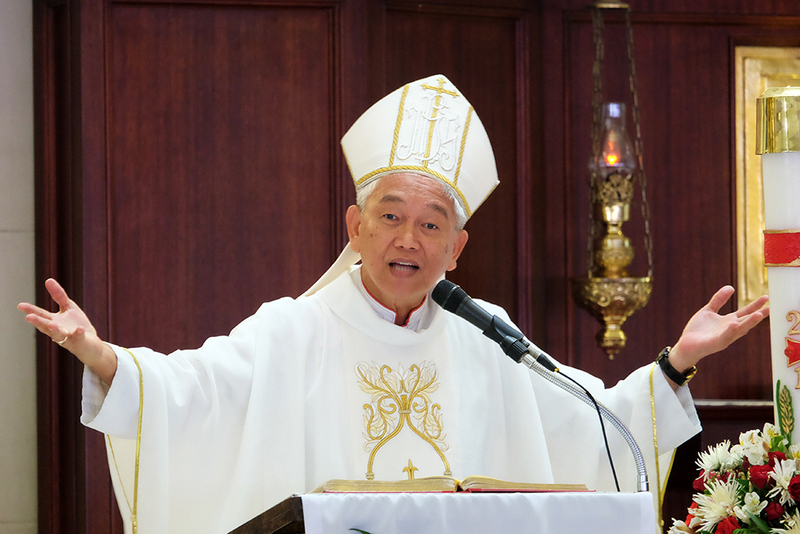 The head of the Catholic Bishops’ Conference of the Philippines Episcopal Commission on the Laity said the outcome of the survey shows the need to further educate voters on the importance of having an independent Senate. “There is still a lot to be done to educate the people. A strong independent senate is needed to have a healthy democracy,” said Pabillo. To recall, the CBCP in a pastoral statement entitled “Seek the Common Good”, said the midterm polls is “crucial” especially today when checks and balances in government are being undermined. “It is very crucial therefore that we elect public officials who are principled, courageous and who have the common good as their main concern and not their own political interests,” they said. The bishops encouraged voters to be very discerning in their votes. Based on the Veritas Truth Survey, seven of the Top 12 senatorial bets preferred by Catholic voters were from the administration’s Hugpong ng Pagbabago. They are reelectionists Sonny Angara, Cynthia Villar, former senator Pia Cayetano, Ronald “Bato” dela Rosa, Bong Go, Koko Pimentel III and Francis Tolentino. This goes in contrast with the 10 senate aspirants pushed by the lay movement, People’s Choice Movement (PCM), which mostly include candidates from the opposition’s Otso Diretso namely; Gary Alejano, Chel Diokno, Florin Hilbay, Romy Macalintal, Samira Gutoc, Erin Tañada, Bam Aquino, and Mar Roxas.